This rapid car charger hosts up to five devices and powers them up twice as fast as your average wall charger. 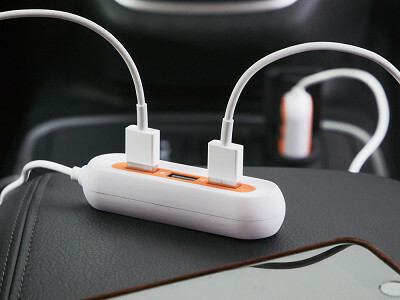 It caters to a car full of people—or your ever-multiplying devices (think: GPS, phone, iPad). The X5 version has two ports that use intelligent recognition—they read your device, then pull the most possible power accordingly, sending out anywhere from two to 2.4 amps. The remaining three ports charge at a steady two amps (which is double that of an average wall socket). If you simply want quick charging for one device, their X1 version uses the same rapid charge technology to power you up twice as fast. 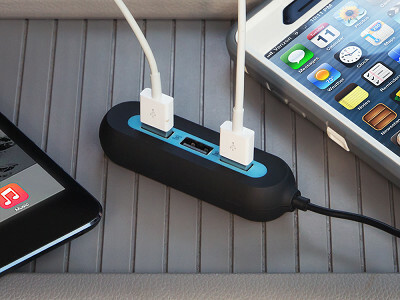 So whether you’re traveling solo or in a packed car, everyone’s device can get a full battery, fast. Hello everyone! 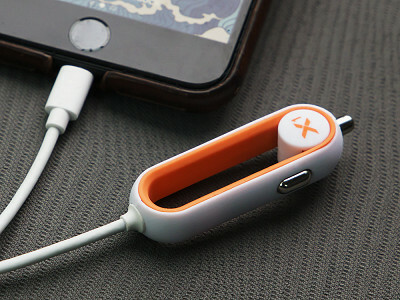 I'm proud to introduce RapidX car chargers to The Grommet. I'd be happy to answer any questions you may have! Will this device work with an HTC phone? @Chris Thanks for three question! The X1 is for Apple devices only, but the X5 will work with all android and Apple devices. Hi, Chris. 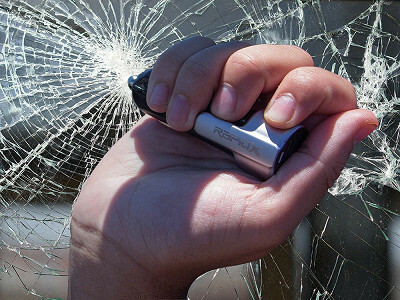 Does the X5 work on both Apple and Android devices? @Julie Hi Julie! YES, X5 will work on both android and Apple devices...no problem. I do not have a cigarette lighter in my vehicle, but I do have an outlet plug. 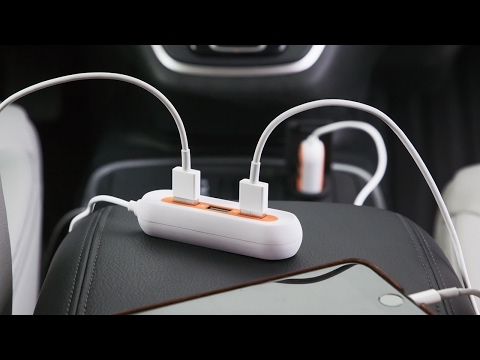 Do any of your devices have a regular plug that could be used in a vehicle? Chris, what is the return policy and warrantee on these devices? 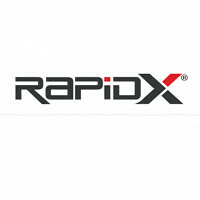 Hi Kevin, the RapidX warranty is one year and our full return polucy can be found here. Chris - is either the X1 or the X5 capable of charging a laptop or are they only accessible for phone application? And if you can charge a laptop are they for android or apple products. @Rebecca Thanks for the question. The X5 is a 5 volt charger, most laptops are 12 volts or higher. So, in most cases you would not be able to charge a laptop, unless you laptop is capable of taking a 5 volt charge directly from a USB port. Do you have a USB to laptop cable? Thanks! Can I charge a Kindle or Kindle Fire using the X5? Thanks! @Sheri Hi Sheri, YES, you can charge both the Kindle and Kindle fire with the X5. Thanks! Chris, does the X5 increase the output from the car battery. 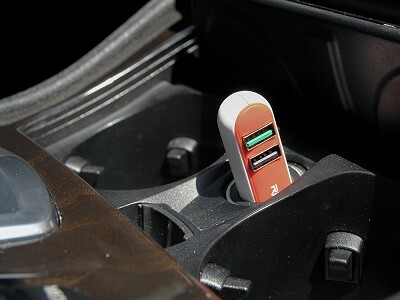 My concern is will the X5 pull more juice from my battery for charging more devices thus shortened my car battery life? @stacey Hi Stacey, great question! If you are using the X5 while your car is running, there is no potential additional drain. 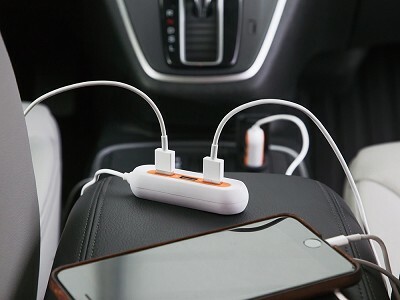 If you have a car that continues to charge your devices even while the car is off, this could potentially have a very slight impact on your battery over time. My car does not continue to charge while my car is off, so it is no problem. I think this is the case for most cars. As long as you are charging your devices while the car is running, you will see no additional drain to your car battery. Thanks! @Arlene Hi Arlene! That's interesting. Have you had the outlets checked at a Toyota dealership? I have a Toyota Prius and both the X1 and X5 work great. My Prius is a 2008. I would suspect that these will work for you, but if they don't, it may be good to first get the outlets tested by a mechanic to see if there is an issue. Thanks! Will either device work on an iPad? @Liz Hi Liz- Yes! 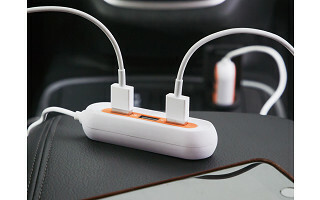 Both cables will work with the newer generation iPads that use the lightning cable charging. Thanks! Would like to order one but the website is telling me it's out of stock. Will you be getting more in? Hi there, which version are you trying to buy? Either way, all styles should be back in stock. Trying to order and it's telling me they're out of stock. Will you be getting more in? More are available to order now! I have and android phone. I just recently purchased (what I thought would be a high-speed) charger2.0 for my car. However, if I am traveling and using "Waze", my phone loses use very fast (3 hour drive). Will the RapidX extend the life of my charge during a trip? @Phyllis Hi Phyllis, Waze uses a lot of data and if you have an older phone it may not be able to take the high speed charge of the 2.0 you have. I will say, if you plug your phone into the 2 front ports of the X5, the charging speed is actually 2.5 amp, so it will provide 25% more charging power than what you are currently using. I have a Samsung Galaxy Note 5 and use Waze all the time and my battery percentage goes us when using it. Hope this helps!